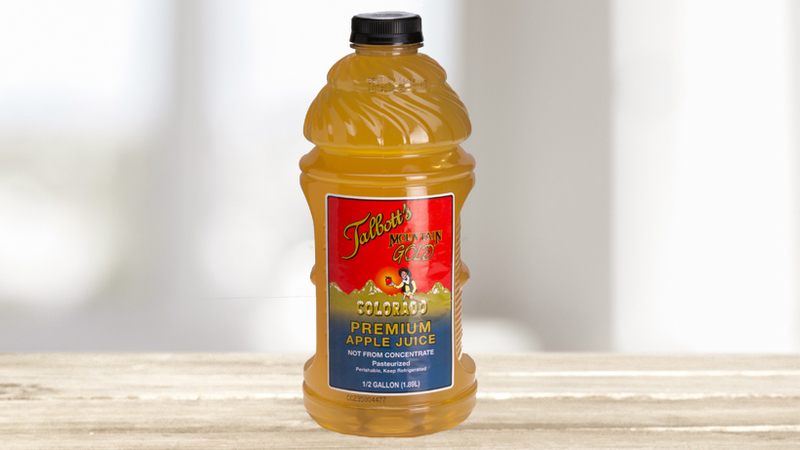 Talbott’s Mountain Gold Premium Apple Juice and Apple Cider are a unique blend of three different quality apples from the Colorado Mountains, carefully cleaned and pressed. Blending sweet and tart apples together creates a taste that is refreshing, zesty and bold. Apple Cider is seasonal – available in September.